The passive safety mechanism of the Surshield Versatus IV catheters is activated by one hand. 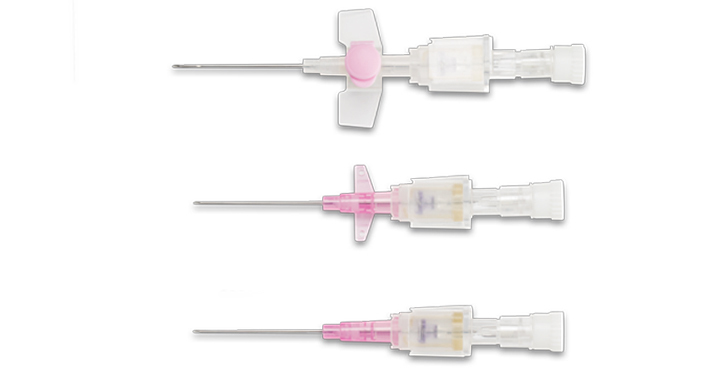 The needle tip is completely encapsulated in order to prevent accidental needle stick injuries and blood exposure (spillage). The Versatus catheters are made out of medical grade polyurethane which becomes very soft at body temperature, target to further improve the patient comfort. The performance is also facilitated by special care for needle point design, catheter tip forming and durable siliconisation. Additionally the Versatus catheters are opaque and kink resistant further improving the patient comfort and safety. The large range in catheters and related obturators allows most appropriate choice of product for a wide range of applications.